I keep getting asked about these Satellite TV for PC products that are available for a hefty price all over the internet and asked if they are any good? After all it sounds way too good to be true – Watch Satellite and Cable TV on your PC – Thousands of premium channels and the latest movies all in superb quality. Well heres the lowdown and its not pretty. As already discussed in my previous eloquent post Satellite TV for PC review. Is it a pile of poo?? these products are a scam, and at the very least are a complete waste of money. After forking out anywhere between 29 – 99 dollars your presented with a menu of free online television broadcasts or a P2P program. Most of the TV channels will be foreign and many of them will not work. They come in many names and guises, professional and slick looking sales pages hide the shocking truth. Amongst the more well known of these Satellite TV on PC products are:- PC Satellite TV, Digital TV 4 PC, Satellite TV Elite, Satellite TV on PC, Satellite TV for PC 2008 Elite Edition, Titanium Edition, TV on PC Elite. OK you get the idea they all have similar sounding names and are all pretty similar products. So what exactly is the Satellite TV PC scam? Well after payment you will download a software program or even just a webpage link usually consisting of a list of free to view tv channels that are all available for free on worldtvpc.com. Thats pretty bad right? Well the other product you may get in this kind of deal either on its own or bundled with the satellite tv product is a P2P program thats also available for free on worldtvpc.com! Although this is obviously a scam, you do kind of in a roundabout way get whats promised. Hundreds of TV channels – err. yep thats a check. Latest Movies and TV shows – also check.But what your not told when you pay those $50 or so big ones is that the very same content is all available totally free on sites like ours. They do not deliver on their promises. You DO NOT get any Satellite or Cable premium/pay per view channels for free. The product you will get is readily available for free. Unfortunately there is no way to turn your PC into a satellite TV receiver and get free Sky, HBO or other premium content. Funnily enough the satellite companies are starting to broadcast channels over the internet, but you will have to pay ( see Sky launch online TV if you dont mind paying!). You have to understand that the Satellite and Cable companies are fighting a massive battle against illegal use of their channels and hunt down and prosecute anyone attempting it, they would never allow their channels to be streamed on your PC for very long without closing it down. There is however some good news if you havent already shelled out some green for these dodgy products. You can by browing our Free Internet TV site find a large selection of free tv broadcasts and channels including the BBC, Comedy Central, Discovery, ESPN and many more from around the world. Look at our Catch-up TV section and find the official websites containing the TV station or broadcast of your choice and view live or recent broadcasts. So do not fall for these satellite tv pc products, you wont get access to anything that is not already freely available right here. As internet tv moves forward and more and more broadcasters get online these software products will become less and less popular because the public are catching on to the fact that although Internet TV is free and doesnt need to be paid for and Premium content is available via catch up tv sites. If you really want to watch HBO or other premium channels online, then you will have to pay for it. You will soon be able to watch Internet TV whilst flying above the clouds. 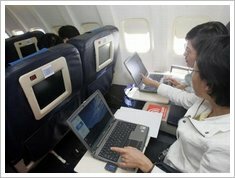 US airlines are making Wifi Internet access available in hundreds of airplanes during 2009. WiFi service will become available at 10,000 feet and above. Virgin America’s Airbus craft is WiFi ready for regular passenger use this month and is expecting all its planes to have Internet access early 2009. Whilst flying any Wifi enabled device can be used, including laptops, smartphones and other mobile devices. And with a 2 Mbps download allowance you can watch internet tv, youtube and even check your emails. It is also thought that the airlines may well distribute movies across the local network for passengers to view depending on the server used on the plane. Network speeds are expected to be between 20 Mbps to 100 Mbps. Boeing origionally trialed in flight WiFi using its Connexion service in 2004, but the high cost of adding satellite receivers and other equipment to aircraft made it prohibitive. However the installation costs and equipment are now less than a fifth of that times. The new airline wifi service will currently only work in the US, with a network of cell towers beaming upward. Aircell expects to receive regulatory approval eventually for the same service in Canada, Mexico, and the Caribbean. Being able to watch catch up tv or whatever you want or surf the net may help passengers to relieve the boredom, however watching any airplane disaster movies isnt recommended. TV broadcasters the BBC, ITV and Telecoms giant BT will work together introducing the box which will allow access to catch up tv services such as the iPlayer and the newly introduced ITV Player. Also available will be on demand movies and other interactive content. Dont hold your breathe though, expected start up date will be early 2010. This new innovation known as Project Canvas, will be available to all public service broadcasters, device developers and other Internet Service Providers. At launch there are expected to be many partners. The service availability will be more than just your TV set though, the service will be made available on many new subscription free devices. 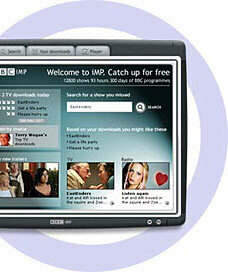 You will be able to view the free to air channels, catch up tv and TV on demand services such as iPlayer. There is also the potential for films, shows and interactive content from a range of other providers in standard and high definition. “This proposal will bring catch-up from the PC to the TV set in your living room, and all for free.” commented Michael Grade from the ITV network. The proposal is part of the BBC’s wider partnership proposals that are intended to help support rival PSBs and safeguard their future. It is also subject to BBC Trust approval and public consultation. This could be a very exciting development converging all Free TV broadcasts to a single point instead of searching several websites for catch up tv content. Catch up TV is becoming more and more popular because catch up tv basically puts you in control and lets you, the viewer watch premium TV content for free at a time of your choosing on your PC. When it comes to growth areas then forget video sharing websites, internet TV streams etc. What the public really want to see is great TV shows that cost millions to make and develop. This is where catch up TV comes into its own and no other online tv streaming media can compete. Catch up tv has the latest and greatest shows for you to watch right here and right now. Shows such as lost, 24, grays anatomy and hundreds more all available to watch right now. Catch up TV can be viewed in standard def but more and more content is available in HD. Catch up TV can be watched anywhere there is a broadband or wifi connection. So watch catch up tv on the train, in the restaurant or in a park.